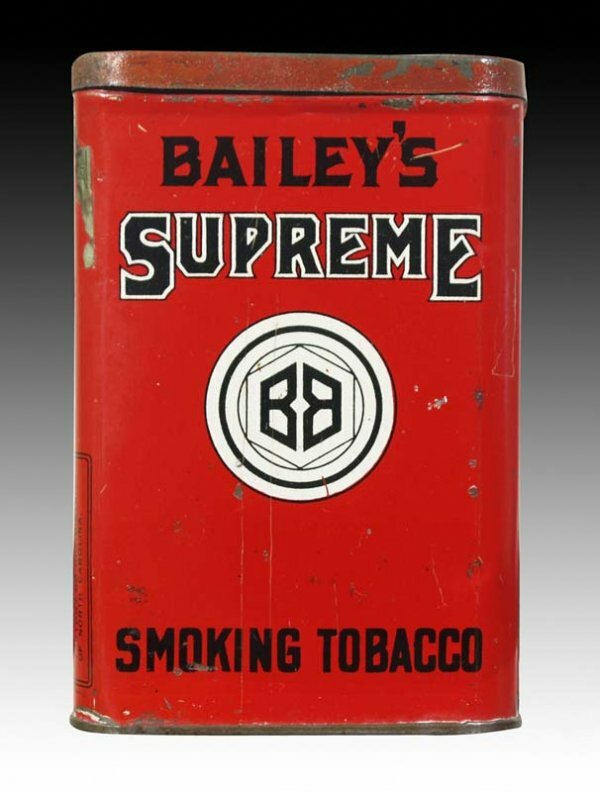 Striking Red Tin with “double B” logo by Bailey Bros. Inc. Winston-Salem N.C. This tin can also be found in canister version. Tin is marked American Can Co. 50-A, 4 1/2″ x 3″ x 1″.